With summer already upon us, 2018 is quickly moving along. In just a year from now we will gather in Hawaii for ICTXV and our General Assembly. But for now, I have much to report starting with the fantastic success of CTDC10, which was held in Belgrade, Serbia April 18–21. 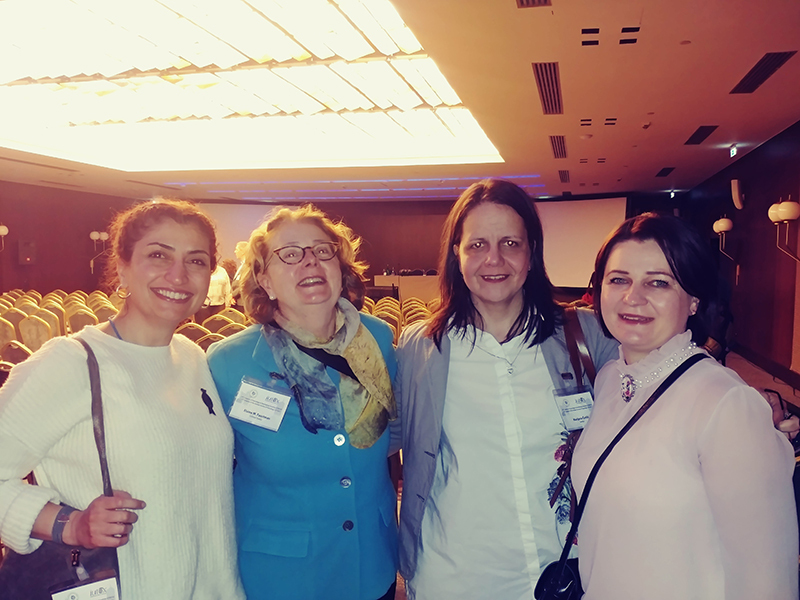 Under the leadership of Vesna Matovic, the Serbian Society of Toxicology (SETOX) completed a flawless program marked by excellent science, enthusiastic attendees, and an impressive list of sponsors and exhibitors at an outstanding venue. Even the weather was perfect! These are the results of Vesna and her team spending months working countless hours looking after the numerous details it takes to run a smooth congress. An initiative of the Executive Committee this year has been to keep in closer touch with our member societies. We’ve spent time engaging with some of our smaller members to determine how to increase their involvement with IUTOX, disseminated the IUTOX poster and other helpful links for use by member societies at their own meetings, and continued meeting with our four largest members (American College of Toxicology, German Society of Toxicology, Japanese Society of Toxicology, and Society of Toxicology) in March to hear about their programing ideas for IUTOX and how we can best help each other. Just last month, I was invited as a keynote speaker at the ASIATOX 2018 meeting, which occurs every three years. The June meeting was hosted by the Thai Society of Toxicology (TST) held in the beautiful location of Pattaya, Thailand. Dr. Songsak Srianujata and his TST team served as host organizers of this outstanding meeting. ASIATOX 2018 Gala Dinner in Pattaya, Thailand. 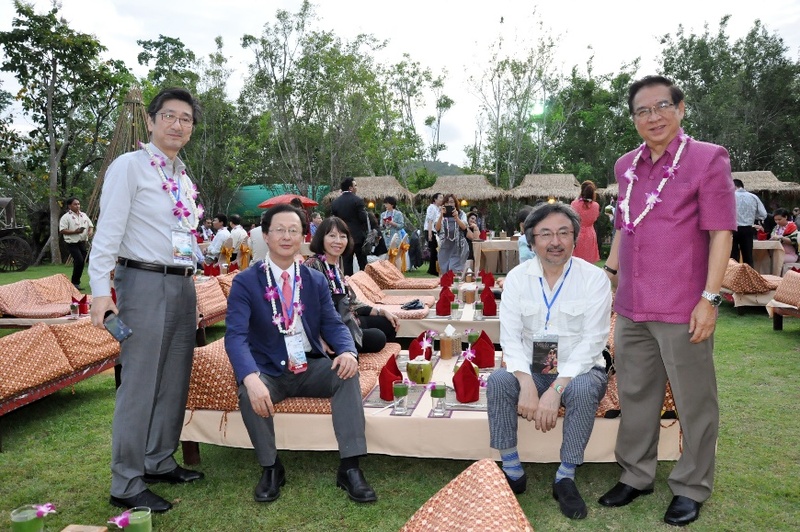 From right, Dr. Songsak Srianujata (President of ASIATOX 2018), Dr. Yoshito Kumagai (JSOT President-elect and EC member of IUTOX), Dr. Malyn Ungsurungsie (Scientific Chair, ASIATOX 2018), Dr. Joung-Joon Surh (Special Lecturer) and me (invited keynote speaker). The IUTOX booth in Belgrade was staffed by the Malaysian Society of Toxicology team, hosts of CTDC11 (Kuala Lumpur, June 13–16, 2021). 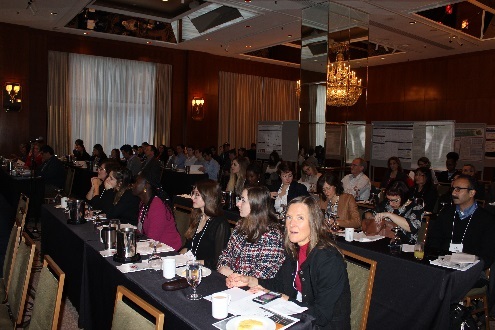 Earlier this month, the International Union of Basic and Clinical Pharmacology (IUPHAR), one of our International Science Council (ISC) sister societies, held their quadrennial congress. This international gathering, the World Congress of Basic and Clinical Pharmacology (WCP2018) was held in Kyoto Japan and per our scientific exchange agreement, it featured an IUTOX-IUPHAR joint session titled, Toxicogenomics for Accelerated and Refined Hazard Identification of Chemicals. 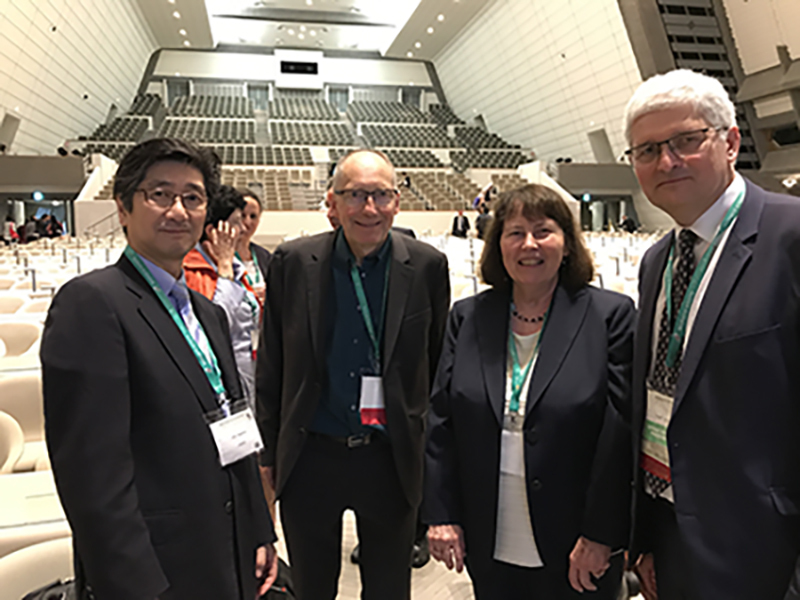 The session was chaired by Dr. Jos C. Kleinjans, Maastricht University, The Netherlands and Dr. Hiroaki Kitano, The Systems Biology Institute, Japan with four speakers including Barbara F. Hales, Jun Kanno, Jos C. Kleinjans, and Hiroaki Kitano. Prof. Dr. Ingolf Cascorbi, the new IUPHAR President was elected during the Congress and Prof. Michael Spedding was re-elected Secretary General. IUTOX and IUPHAR confirmed a shared interest in a wide range of overlapping interests in science and agreed on the importance of promoting mutual recognition and collaboration in the future. Finally, I’d like to report on the strategic plan the Executive Committee drafted in Belgrade to guide us as we look ahead to the next four years. I invite you to review the strategic plan and send your comments and ideas to me at the IUTOX Headquarters. A snapshot after the IUPHAR closing ceremony with the newly elected IUPHAR President, Prof. Dr. Ingolf Cascorbi (far right), and re-elected IUPHAR Secretary General Prof. Michael Spedding with Barbara Hales and me. 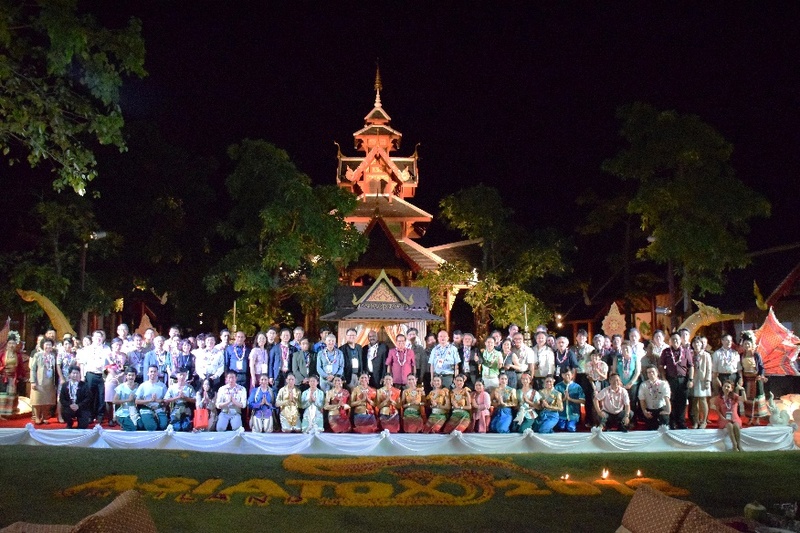 Group photo of ASIATOX 2018 Gala Dinner, Pattaya, Thailand. Please visit the SOT website for all the details and dozens of reasons to mark this special congress on your 2019 calendar! An important feature of each ICT meeting is the General Assembly where the IUTOX Executive Committee reports on their activities over the previous three years and has the opportunity to hear from its member societies. The Councilors designated by each society will cast their votes to elect the Executive Committee members who will serve during the 2019–2022 term and to select the venues for CTDC12 (2024) and ICTXVII (2025). An email was sent to IUTOX member societies earlier this month from Herman Autrup, immediate past IUTOX President, with all the details about the call for nominations. On behalf of Herman, I’d like to thank the 2016–2019 Nominating Committee comprised of Hanan Ghantous (USA), Mary Gulumian (South Africa), Akihiko Hirose (Japan), Mumtaz Iscan (Turkey), and Danielle Palma de Oliveira (Brazil). Herman and his committee will be looking for your nominations in November. The aloha spirit made an appearance at the SOT Annual Meeting in San Antonio, Texas. IUTOX Executive Committee (2016–2019), San Antonio, Texas. From Left (Top Row): Lijie Fu, Werner Kobel, Peter Di Marco, Jun Kanno, Yoshito Kumagai, Salmaan H. Inayaat-Hussain, Dieter Schrenk; From Left (Bottom Row): Donna Breskin (Staff), Nursen Basaran, Barbara Hales, Silvia Barros. Until we meet again, I wish you and yours the delights of summer spent with the people and things you enjoy the most! The activities covered by the organizers of this congress, the Serbian Society of Toxicology (SETOX) and the International Union of Toxicology (IUTOX), and under the auspices of Serbian Academy of Sciences and Arts (SASA), started on April 16 at the SASA with a two-hour tribune “Toxicology and Us.” The President of SETOX, the honored academicians and eminent experts informed the audience and citizens of Belgrade about the current situation on occupational and environmental exposure, food and water safety in Serbia, as well as smoking habits and its health effects. The tribune was very successful, with a vivid discussion, highlighting further toxicological problems and ecotoxicological issues in this region. This event was followed by the Opening Ceremony of the exhibition “History of Toxicology” that was held at the Gallery of SASA. Thanks to Philip Wexler and National Library of USA, posters from Toxicopedia were presented, enabling citizens of Belgrade to learn more about the history of toxicology in different parts of the world. The visitors also had a unique opportunity to gain insight into the history of toxicology in Serbia, to see the first books of toxicology printed in Serbian, to learn about the development of forensic, clinical and occupational toxicology in Serbia, to see old reports of toxicological analyses, and to read about interesting cases in toxicological practice, etc. The exhibition lasted for a week and was visited by a great number of citizens of Belgrade, as well as the participants of the CTDC10 congress. Pre-congress activities held on the morning of Wednesday, April 18, included four continuing education courses (CECs); 1) Carcinogenicity Studies: Perspectives on design and execution for successful product registration (presented and sponsored by American Toxicology College-ACT speakers), 2) Health-Based Limits for Toxicological Risk Assessment: Setting acceptable daily limits for pharmaceutical and chemical safety (also ACT), 3) RISK21: A Practical Framework for Risk Assessment in the 21st Century (presented and sponsored by British Society of Toxicology), and 4) Water Security: Integrating Lessons Learned for Water Quality and Sustainability. The CECs had an attendance of about 100 participants. The Congress was organized through: Four CECs, one Opening and four Plenary lectures, 16 Symposia, four Workshops, three Short Communications and three roundtables. Furthermore, WHO organized a Chemical Risk Assessment Network Meeting with more than 30 participants. A superb scientific program was complemented by prominent scientists from around the world who lectured on diverse topics covering many aspects of toxicology. The Congress started off with a strong continuing education program and progressed to highly engaging and relevant workshops, plenary lectures and innovative roundtables. All the sessions were well attended with lively discussion. Roundtables titled “Promoting Undergraduate Toxicology Education and Career Opportunities for Students in Developing Countries,” “Women in Toxicology in Developing Countries” (recorded and available at www.ctdc10.rs), and “Toxicology for Health in the United Nations Sustainable Development Goals” had great success. 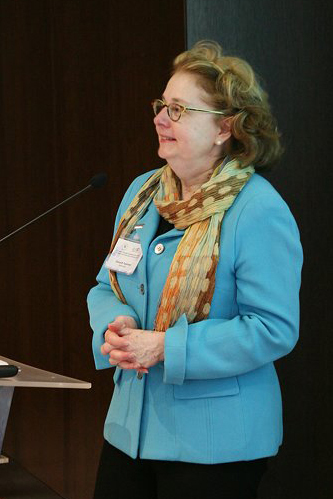 After the Women in Toxicology in Developing Countries roundtable, the President of SOT, Patricia Ganey, and the Immediate Past President of ACT, Tracey Zoetis, presented to the audience the goals and main activities of these societies which have many resources to offer their sister societies. The total number of participants was 357, coming from 57 countries, with a leading number of participants, 77, from Serbia, followed by 30 from Turkey, and 21 from Croatia. The total number of speakers was 126 (invited speakers and 13 speakers at CECs), 21 short communication presenters, and 180 poster presenters, with 348 total abstracts. 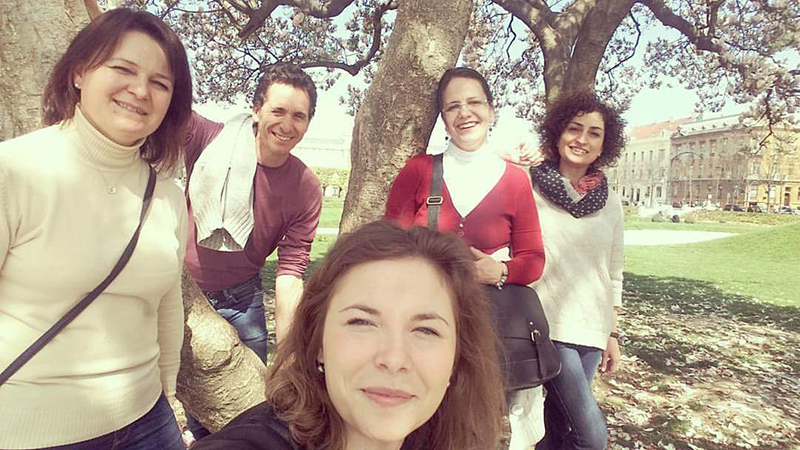 Besides the excellent science, we offered participants attractive social programming and a chance to experience charming April days and the exciting sights and sounds of Belgrade. 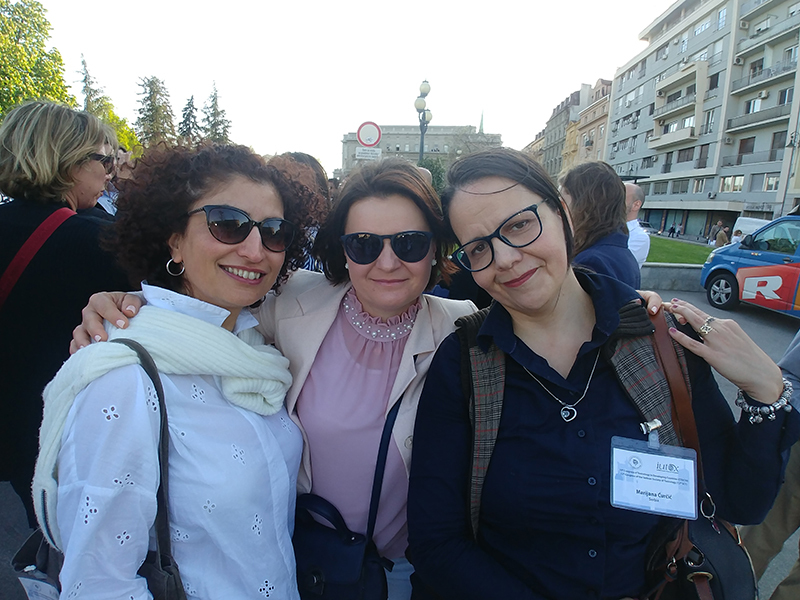 On Thursday, April 19, on a beautiful sunny day, we had a walking tour through Belgrade and visited the exhibition of the “History of Toxicology” at the Gallery of SASA, and on Friday, April 20 we had a Gala dinner on a floating boat with live music just for us. The Closing Ceremony was on Saturday, April 21, at 3 pm after successful sessions such as a plenary workshop “Toxicology Data and Online Tools in Support of Research and Publications” and a roundtable provided by WHO that presented the main goals and further activities of WHO concerning human and environmental health. At the very end, we had a chance to see a program organized by the leadership of the Malaysian Society of Toxicology (MYSOT), the hosts of the CTDC11 meeting in Kuala Lumpur. Special thanks to Mr. Nik Ady Arman Bin Nik Mohd Kamil, the Chargé d’Affaires (CDA) at the Embassy of Malaysia in Belgrade for joining us and providing a film of beautiful Malaysia, and music and dancers for our closing ceremony. We wish MYSOT all the best in 2021! Once again, I would like to express my deepest gratitude to IUTOX EC members who recognized the Serbian Society of Toxicology as capable of organizing a CTDC congress; to the Gold Sponsors SOT, ACT, WHO, and IPIECA; Silver Sponsors Japanese Society of Toxicology, MatTek In Vitro Life Science Laboratories s.r.o., British Society of Toxicology, and NIEHS; Bronze Sponsors RTC S.p.A., and Bio Basic Europe; as well as other sponsors who made this congress organization possible! A huge thanks to all our amazing partners, as well to all the participants. We couldn’t have had a successful conference without you! At the opening ceremony of the CTDC10 meeting in Belgrade, Ali Esat Karakaya was named the first recipient of the newly created Lifetime Achievement Award. IUTOX established the award to honor a distinguished scientist who has made lasting contributions in a country where toxicology is underrepresented. Professor Karakaya has been working for over 40 years to promote toxicology in Turkey through teaching, research, consulting, training, mentoring and public outreach through the media. During his career he founded the Department of Toxicology at Gazi University in Ankara, served on several national scientific advisory committees, and has been actively engaged in numerous national and international scientific and professional organizations. 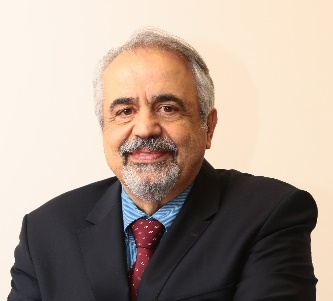 In 1988, Professor Karakaya was the founding Secretary-General of the Turkish Society of Toxicology (TST), and under his leadership TST became an active member of IUTOX in 1998. Professor Karakaya went on to serve IUTOX as 1st Vice President (2001–2004), President (2004–2007), and Chair of the Nominating Committee (2007–2010). In 1999, Professor Karakaya also served as President of the CTDC4 meeting held in Antalya, Turkey. In another first for IUTOX, Professor Karakaya requested—and the IUTOX Executive Committee agreed—that the CTDC4 meeting be held “under the auspices of IUTOX,” which paved the way for future CTDC meetings to be fully integrated into IUTOX activities. IUTOX was proud to honor Prof. Ali E. Karakaya with the first Lifetime Achievement Award in recognition of all the “firsts” he has stood for in IUTOX and in the international toxicology community. This column features past travel award winners of ICT and CTDC meetings, RASS and RAW trainings, and recipients of SOT/SOT Endowment/AstraZeneca/IUTOX travel awards. True to its mission, IUTOX has consistently raised and awarded funds for junior and senior scientists to participate in international toxicology meetings and to receive training and education to increase their skills and knowledge in risk assessment. A great number of recipients have gone on to contribute to the field of toxicology in significant ways in colleges and universities, private industry, and scientific communities on a local, regional, national and international level. If you are a past recipient of an IUTOX sponsored travel award or risk assessment training, we want to hear from you. Please contact the Secretariat with your “Then and Now” success story! IUTOX: What degree(s) do you hold and from which institution(s)? Marijana: Yes, it is in Serbia. Marijana: Toxicology courses are offered at the three universities in Belgrade, Nis and Novi Sad. At the Faculty of Pharmacy in Belgrade there are undergraduate courses in toxicology and optional courses in human health risk assessment, ecotoxicology, and acute drug poisonings and analyses. At the postgraduate level we have PhD studies in toxicology, a one-year postgraduate academic specialization in toxicological risk assessment, and a three-year course in toxicological chemistry for specialization in healthcare systems. IUTOX: What involvement have you had with SETOX? Marijana: I have been a member of the society for several years and I served on the local organizing committee of CTDC10, held in Belgrade in April of this year. Marijana: Toxicology is a journey. Hop on the train and don’t be afraid to switch tracks if you feel extraordinary interest in a specific field of toxicology. Most of all, enjoy your colleagues in the international and multicultural communities. IUTOX: Did the RASS program and ICT meeting you attended allow you to create lasting working relationships with other toxicologists or provide you with other opportunities? 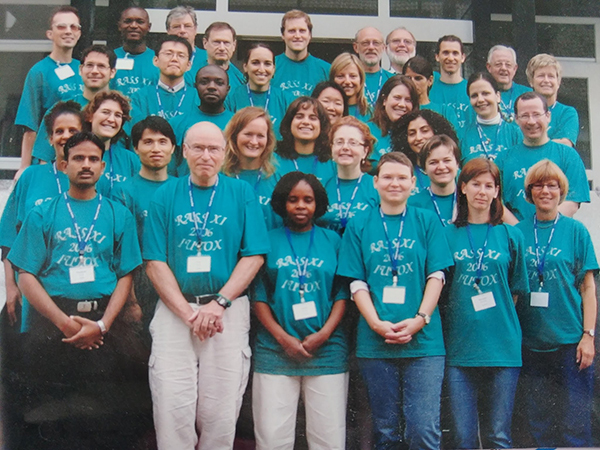 Marijana: In 2006, I attended the Risk Assessment Summer School (RASS XI) under the auspices of The International Union of Toxicology (IUTOX). Since the summer school was organized around interactive programming, I was able to get well acquainted with colleagues from different countries and institutions who I am still in touch with today. Among them are Javier Esteban (Toxicologist from Universidad Miguel Herná ndez (UMH), Bioengineering Institute, Elche, Spain); Gonca Çakmak (Toxicologist from Gazi University, Pharmacy Faculty, Department of Toxicology, Ankara, Turkey); and Ksenija Durgo (Toxicologist, Zagreb University, Faculty of Food Technology and Biotechnology, Zagreb, Croatia). Together, we serve as an excellent example of how friendship and science mix. We have been collaborating in scientific and social capacities for almost 12 years, and during that time our friendships have grown deeper and deeper. The fruitful collaboration continued through ERASMUS+ programming with bilateral agreements among UMH, Gazi, Belgrade and Zagreb Universities. Under an ERASMUS+ teaching activity program, we have conducted three Basic Toxicology and Risk Assessment courses for university students with differing knowledge-levels in toxicology. We used a “problem-based learning” approach on the basic principles of toxicology, risk assessment, toxicokinetics modeling, and exposure assessment. Another of our collaborations was with the Leonardo da Vinci Partnership Project, granted by the Lifelong Learning Program of the European Union. The project, titled “Raising the Awareness on Healthy Food and Healthy Eating Among Children” (2011-1-TR1-LEO04-27384), was targeted towards children between 2011 to 2013. The collaboration was led by Gonca Çakmak in Turkey, Ksenija Durgo in Croatia, and Javier Esteban in Spain. The final product was a film for children on food safety, which can be watched on Youtube. My voluntary involvement in this project was as the representative of Belgrade University-Faculty of Pharmacy. Prof. Dr. Torbjörn Malmfors, our RASS teacher, provided wise guidance throughout. Meanwhile, Ksenija, Gonca, and I were invited by Javier to give lectures in the UMH Bioengineering Institute Seminars. We shared our research experiences in Turkish, Croatian, Spanish, and Serbian congresses as lecturers. Toxicology is the science of daily life. We are happy to contribute to the dissemination and advancement of the concepts of toxicology. We are forever grateful to Prof. Dr. Elaine Faustman, our teacher and mentor who keeps in touch with us at international meetings and has helped us organize small risk assessment meetings in our communities. I am also thankful for the IUTOX RASS summer school concept and especially RASS XI, which has benefited me and many colleagues in our ability to learn and to expand our network in the international toxicology community. From Marijana: Let us show you a photo gallery of our small but strong community! With great sadness we regret to inform the IUTOX community that Sameeh Mansour passed away in May. Sameeh was a beloved friend to many and well-known in toxicology circles around the world. Professor Mansour earned his B.Sc. Hon., M.Sc. and Ph.D. degrees from Alexandria University in Egypt. His specialty was pesticides chemistry, which he practiced as Former Head of the Pesticide Chemistry Department, National Research Centre (NRC) in Cairo. He also served as Chairman of the National Committee of Toxicology, Academy of Scientific Research & Technology (ASRT), Egypt. Sameeh was the Founder of the Environmental Toxicology Research Area at the NRC of Egypt; a member of the Directory Board of the National Poison Control Center; on the Faculty of Medicine at Cairo University; Scientific Consultant with the Ministry of Culture for the protection and conservation of national archives and documents; and a member of the Permanent Scientific Committee for ranking research associate professors and professors in the field of applied organic chemistry and toxicology. Prof. Mansour’s contributions to IUTOX were many. 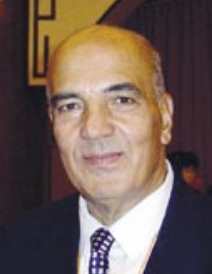 For decades, Sameeh served as the official representative of the Egyptian Society of Toxicology (EST) and in 1995 he organized the 3rd Congress of Toxicology in Developing Countries (CTDC3) in Cairo. In 2001, Prof. Mansour was named to a committee to explore merging the CTDC meetings with IUTOX as one of its official activities, an idea which was later adopted. Sameeh’s lasting legacy to IUTOX is the Egypt Cup, which he created and commissioned in 1995 to honor CTDC host societies and their commitment to scientific research in developing countries. On the cup, Sameeh inscribed the phrase, Together for Human and Environmental Welfare, which embodied his commitment to the international toxicology community, which he held so dear. Sameeh Mansour will be missed greatly by all who knew him. 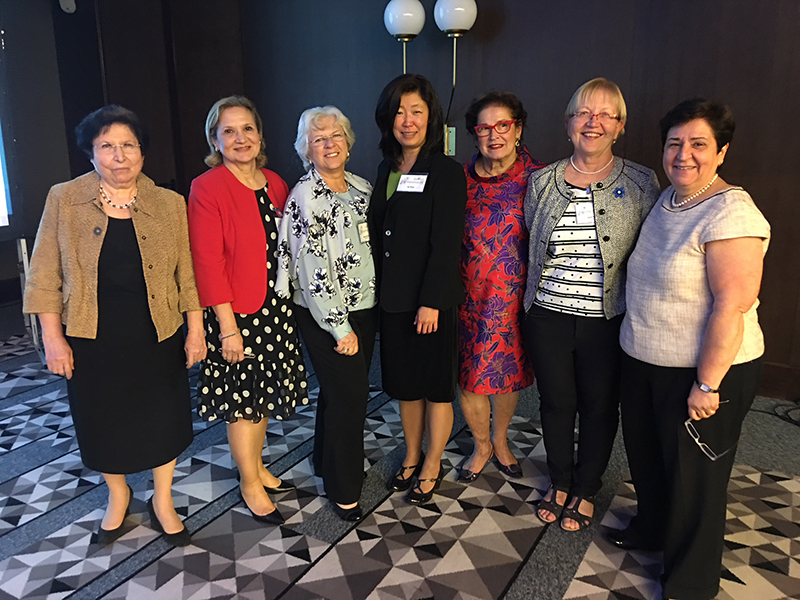 The CTDC10 meeting in Belgrade, Serbia (April 18–21, 2018) played host to the first Women in Toxicology in Developing Countries roundtable held at an IUTOX congress. Judging by the enthusiasm of the attendees, it was deemed a great success. 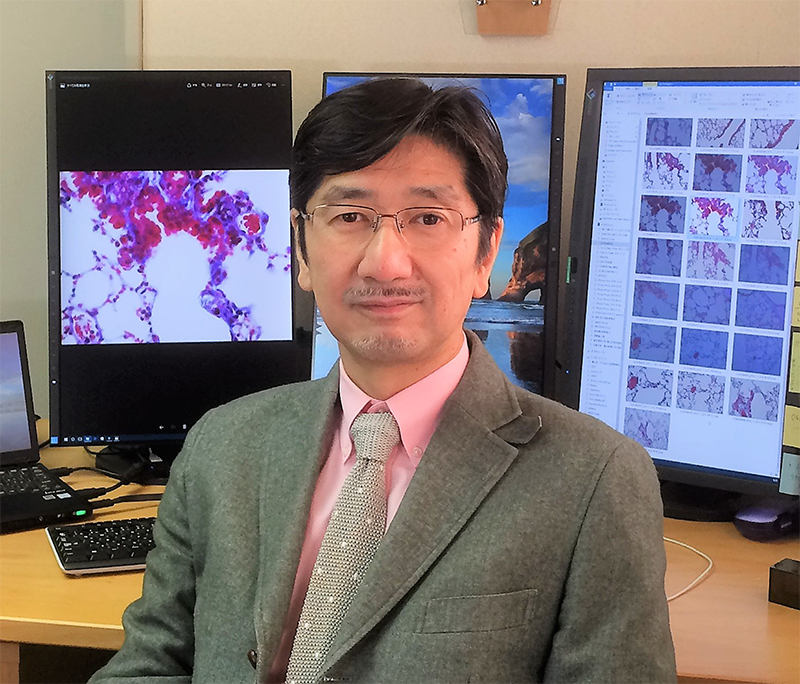 Dr. Tao Wang, former President of the Society of Toxicology (SOT) Women in Toxicology Special Interest Group (2015–2016), organized the event and raised funds to videotape the session. Please see Dr. Wang’s abstract below followed by the list of expert panelists who so generously shared their time and personal stories during the roundtable presentation. Although the global share of women in research has been increased over the last several decades, women still remain underrepresented in many areas of science including toxicology not only in developing countries but also in many developed regions. It is actually difficult for women to get a good position in research. Gender differences in researchers are even more pronounced in some developed countries such as UK, Japan and Canada compared to some developing countries. According to the report of Elsevier (1) in 12 comparator countries and regions over 20 years, in developed countries, the percentage of women in science and research in the area of Pharmacology & Toxicology and Pharmaceutics and also in the implementation of policies and legislation are still lower than men. But compared to other areas, a relatively high portion of women among researchers in Pharmacology & Toxicology and Pharmaceutics has been observed. The data about the situation of women in toxicology research in developing countries are not clear but it seems that female representation is still lagging behind in scientific bodies. The push for gender equality in developed and in developing countries is not easy and seems to need time. 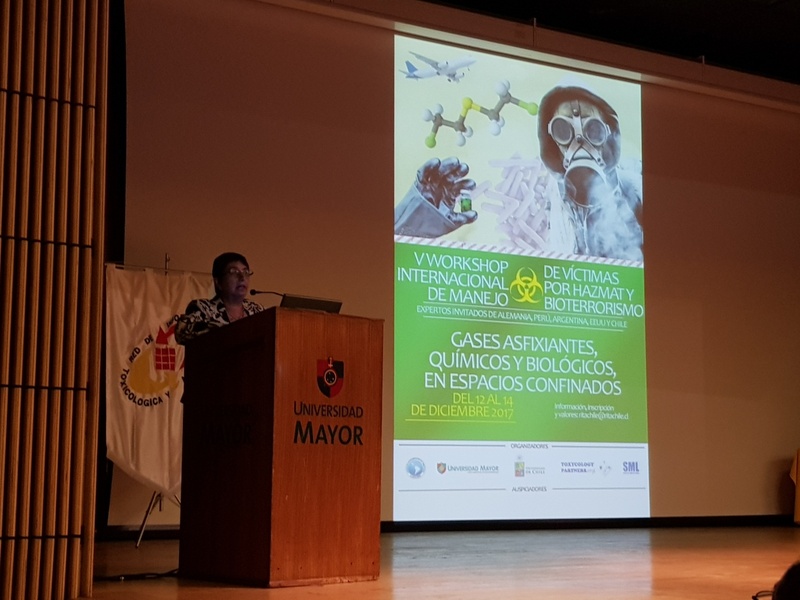 The panel is aimed to describe the situation of women researchers in toxicology in some developing countries and also to increase and foster awareness of the power of women in the area of toxicology. 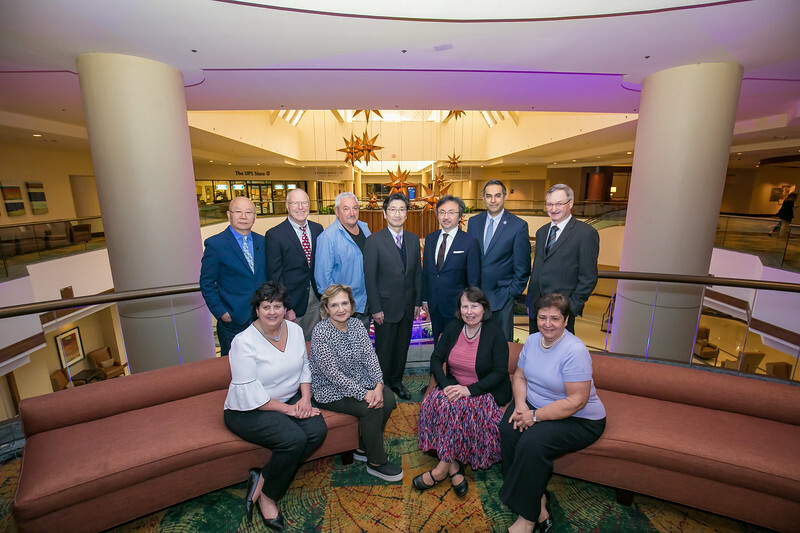 The SOT Annual Meeting in San Antonio was the gathering place for the 2018 Global Collaboration Coffee. SOT generously provided a continental breakfast in the beautiful Cantilever room at the Henry B. González Convention Center where a panel of experts addressed the topic of Poison Control Centers: Current Challenges and Resources. IUTOX welcomes your ideas for future global collaboration topics and recommendations of speakers. Contact us at iutoxhq@iutox.org. With a growing number of toxicology societies forming around the world, it’s ever more important that we all work together to promote the science of toxicology and innovate to solve common problems. Increasingly available technology offers new opportunities and resources to communicate and collaborate across time zones on a wide range of timely issues. The purpose of the global collaboration events is to raise awareness of communication and information resource efforts already underway by our member societies and others, to discuss how and if these programs and resources can be more effective and widely available, and finally, to identify opportunities to encourage and facilitate future information exchange among all IUTOX member societies and other relevant organizations. With the generous support of SOT, IUTOX previously planned Global Collaboration events at SOT Annual Meetings in New Orleans (2016) and Baltimore (2017). IUTOX has also hosted Global Collaboration events at CTDC9 in Brazil (2015) and ICTXIV in Mexico (2016). The founding General Assembly of the new International Science Council (ISC) took place in Paris, France, from July 3 to July 5, 2018. The draft strategy of the new organization emphasizes that the importance of scientific understanding to society has never been greater, as humanity grapples with the problems of living sustainably and equitably on planet Earth. It stakes out a space for the Council to defend the inherent value and values of all science at a time when it has become harder for the scientific voice to be heard. It will strengthen international, interdisciplinary collaboration and support scientists to contribute solutions to complex and pressing matters of global public concern. It will advise decision makers and practitioners on the use of science in achieving ambitious agendas such as the Sustainable Development Goals (SDGs) adopted by world leaders in 2015. And it will encourage open public engagement with science. The vision of the new Council, as stated in the High-Level Strategy, is to advance science as a global public good. Scientific knowledge, data and expertise must be universally accessible and its benefits universally shared. The practice of science must be inclusive and equitable, also, in opportunities for scientific education and capacity development. For detailed background information on the merger process, see this Gitbook that is being updated on a regular basis. At the founding General Assembly of the new International Science Council, the combined membership of the two predecessor organizations (International Council for Science/ICSU and International Social Science Council/ISSC) gathered to elect their representatives to the governing structures of the new Council. Elaine Faustman, nominated by IUTOX, was on the ballot as an Ordinary Member of the new ISC Governing Board. Dr. Faustman has served as the liaison between IUTOX and ICSU for many years and was the driving force behind writing successful proposals to receive ICSU grants for IUTOX to conduct trainings in the areas of risk assessment and water security in Brazil, Nigeria and South Africa. IUTOX thanks Elaine for her extensive work with ISC on behalf of IUTOX and for representing all of our member societies on the occasion of the inaugural ISC elections. In July of 2017, our 15th congress was held in Lima (Peru), in collaboration with the Peruvian Toxicology Association (APTOX). It was a three-day event that gathered people from all over Latin America and some from other countries, including USA, Russia, and France. 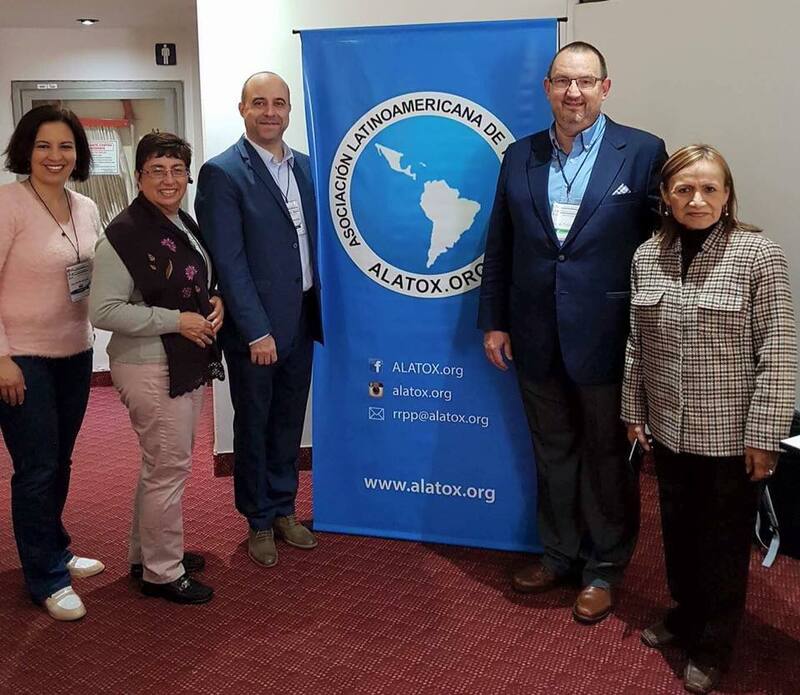 In the picture (left to right): Dr. Pilar Julieta Acosta Gonzalez (former ALATOX president), Dr. Laura Cecilia del Carmen Börgel Aguilera (previous ALATOX president), Dr. José Marucci (current ALATOX president), Dr. Michael Mullins, Dr. Rosalia Anaya Pajuelo (Congress president, member of the Peruvian Toxicology Association APTOX). It was a multidisciplinary event, with a special focus on updates and exchanging experiences. The topics were environmental and clinical toxicology. As always, the most enriching experience consisted in exchanging know-how with specialists from all over the region, learning about the situations they are going through so we could aid their initiatives, and establishing bonds for further collaboration to enhance and sustain our efforts. The next ALATOX congress will be held in Buenos Aires, Argentina, in 2020. In November of 2017, there was another ALATOX-sponsored activity in Santiago, Chile. This one was in collaboration with Universidad Mayor de Chile, Rita, Chile and ToxicologyPartners.org. It was the fifth workshop on HAZMAT and terrorism. The focus was mainly on cyanides. The event gathered 300 people, which is the biggest event of this kind in our region so far. Pictured: Dr. Laura Cecilia del Carmen Börgel Aguilera (previous ALATOX president/workshop organizer) during the opening of the workshop. On November 26–30, 2018, the next edition of this workshop will focus on pesticides. Finally, we are developing our new online platform and social media, so we invite you to visit us at www.alatox.org and stay in touch. 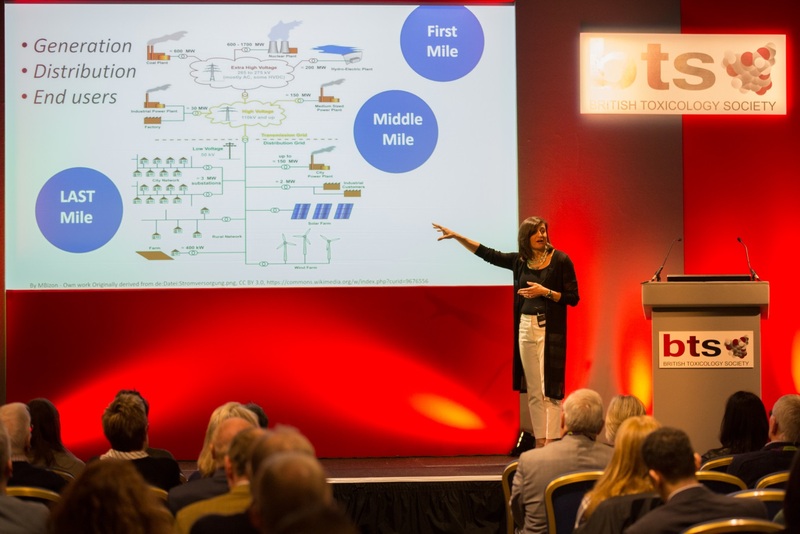 The 39th Annual Congress of the British Toxicology Society (BTS) took place in Newcastle, April 16 to 18, 2018, with a rich and varied scientific programme and outstanding speakers. The spacious and well-appointed conference facility in the Gateshead Hilton Hotel proved popular with the 260 delegates in attendance. The full programme of the Congress can be seen on our website. Dr. Emma Marczylo (Public Health England) and Dr. David Mason (Unilever) as members of Executive Committee. Biographies of the Officers and Members of Executive Committee are available online. Syril Pettit delivers her plenary lecture at the BTS congress. Two BTS Prize Lectures were also included in the programme. Dr. Ian Copple receives his Early Career Investigator Prize from Prof. Tim Gant. 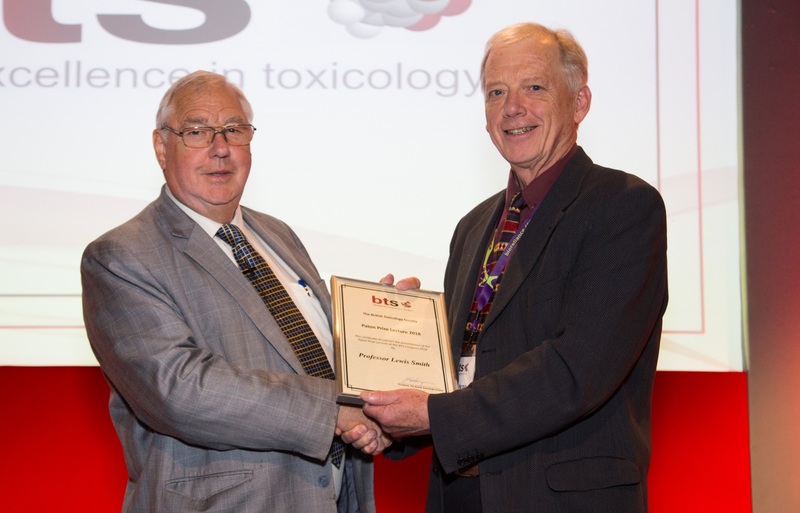 This year’s Paton Prize, awarded biennially to encourage scholarship in the historical aspects of toxicology, was awarded to a former President of the BTS and someone with an international reputation for his scientific contributions and leadership in toxicology and risk assessment, Professor Lewis Smith. Professor Smith delivered a wonderfully insightful and entertaining lecture, “The Importance of Balance in Toxicological Decision Making.” The challenging ideas Prof. Smith advanced were illustrated with detail from high profile scientific case studies. Young and old alike gave rapt attention to the wise counsel imparted by Prof. Smith. Prof. Lewis Smith, winner of the Paton prize, is presented with a commemorative certificate by the BTS President, Dr. Ernie Harpur. Opportunity for active participation and presentation of science came in a number of forms, including the Study Director/Study Monitor workshop which continues to provide a great forum to exchange ideas between scientists. There were also oral communication sessions encompassing talks on a range of organ systems, animal and in vitro models and investigative techniques. Posters were on display throughout the congress, with a lively discussion session. 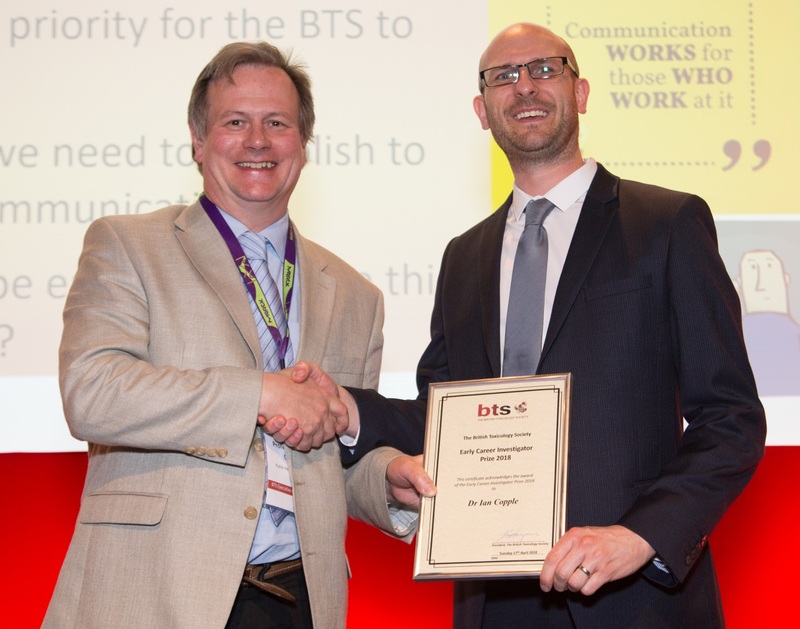 Twelve student members of the BTS were awarded bursaries to enable them to attend and present their work. On the final afternoon of the Congress attendees enjoyed a wonderfully crafted and highly informative Hot Topic lecture on “Challenges in the Assessment of Nonclinical Pharmacology and Safety of mAb-based Immuno-Oncology Products,” presented by Dr. Lolke de Hann, Senior Director R&D, MedImmune, Cambridge, UK. The Congress closed with an interactive Workshop on Public Communication which provided an opportunity for members to offer opinions to help shape and influence the way in which the Society responds to matters of public interest. As always at BTS Congresses, the convivial atmosphere of the Congress was enhanced by a number of opportunities to socialise; coffee and meal breaks among the Exhibitor stands, the Early Career Networking Quiz, BTS Specialty Section gatherings, BTS Ambassadors breakfast, a couple of drinks receptions, and, of course, the conference gala dinner. Practical Application of Toxicology in Drug Development. Registration for this course co-organised by the BTS with ACT, now in its fifth year, is open. For more information, or to register, please visit this link. RSC/BTS/BSAC meeting—Tackling Antimicrobial Resistance, 17 September 2018 09:30–16:30, London, United Kingdom. Registration and meeting details can be accessed here. The 40th anniversary BTS Congress (joint meeting with UK Environmental Mutagen Society) 5th to 17th April 2019, Robinson College, Cambridge UK. Further details will be announced on the BTS website. The International Neurotoxicology Association (INA) is a scientific society whose members have interest and expertise in the discipline of neurotoxicology. INA held its first meeting in the Netherlands in 1987 and by now INA’s biennial meetings have a long history. A common theme in our past meetings relates to translational neurotoxicology: neurotoxicological research for the promotion of human health. Despite the common theme, INA meetings are held in diverse locations. INA-14 (2013), which coincided with the 25th anniversary of INA, was held in Egmond aan Zee, the Netherlands, to honor one of INA’s founding members Jacob Hooisma. 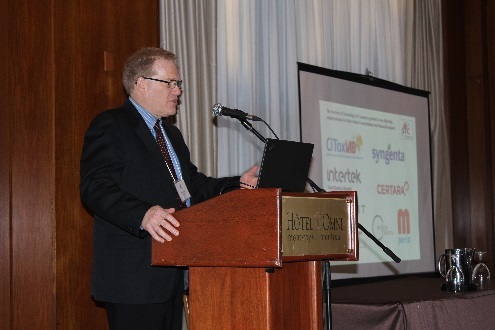 INA-15 (2015) was held in Montreal, Canada, and INA-16 (2017) was the first meeting of INA in South America, together with the NeuroToxicity Society (NTS). The next biennial meeting will be held close to Düesseldorf, Germany. From September 29–October 3, 2019, neurotoxicologists from all continents are invited to join INA-17 at the Land Gut Höehe close to the vivid Rhine-Ruhr metropolitan region. The local organizers, Drs. Ellen Fritsche and Christoph van Thriel (past INA president 2013–2015), are already working vigorously with Dr. Remco Westerink (current INA president 2017–2019) on the scientific and social program of the meeting. The call for symposia proposals has been launched and was distributed during the 57th SOT meeting in San Antonio, Texas, USA, this March. The scientific committee is happy to announce that Prof. Dr. Deborah Cory-Slechta from the University of Rochester, NY, USA, accepted the invitation to give the opening Jacob Hooisma Lecture on Sunday afternoon. Another important event that is dedicated to our young scientists will be the prestigious David Ray Student Travel Award. Dr. David Ray of Nottingham was a former INA president and teacher of many PhD students. The winner of the David Ray student symposium will receive this award. All PhD students currently supervised by an INA member are eligible for this competition. Traditionally, the president-elect of INA (Dr. Tim Shafer) takes care of the application process. More details about the scientific program will be available this fall. The (neuro)toxicological landscape is in a transmission process for more than a decade. This renewal process was at least partly provoked by (a) the National Academy of Sciences report "Toxicity Testing in the 21st Century: A Vision and Strategy” published in 2007, (b) REACH (Registration, Evaluation, Authorisation and Restriction of Chemicals) program of the EU that also started in 2007, and (c) the principles of the 3Rs (Replacement, Reduction, and Refinement) developed over 50 years ago providing a framework for performing more humane animal research. It’s time to think about the progress that we as a branch in toxicology have reached. Thus, the aims of the science at INA-17 are to sum up what has been achieved so far in the field of neurotoxicology, show the recent results of all areas of neurotoxicological research, and generate discussion on how our research results support decision making for a safer and healthier environment. With respect to cultural and recreational aspects during INA-17, the congress venue is close to the Neander Valley, the place that gave our archaic sisters and brothers, the Homo neanderthalensis (40ka–250ka) their name. Some of the DNA of these Neanderthals is still alive in the DNA of modern humans and researchers are currently investigating the geographic Neanderthal admixture in modern humans. An excursion to the Neander Valley Museum will be part of the recreational activities. Please consider joining INA, and we hope we may welcome you in 2019 in Düsseldorf, Germany! An INA-17 website will be available this summer and all information can be found on our website: www.neurotoxicology.org. 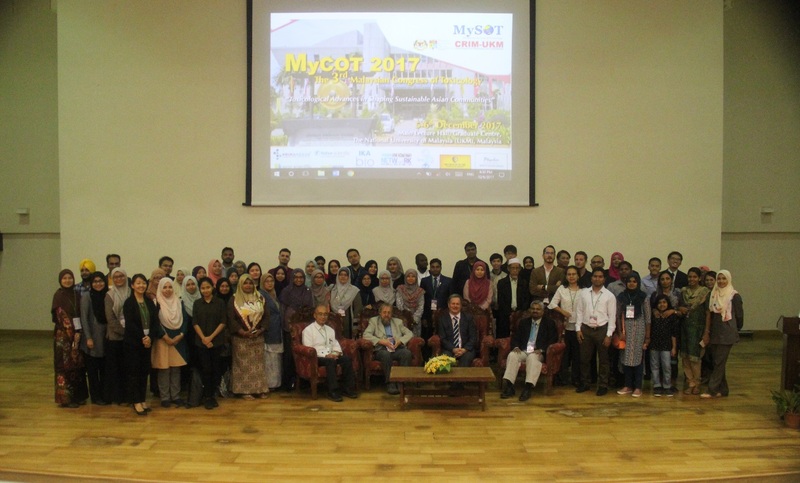 The 3rd Malaysian Congress of Toxicology (MyCOT) with the theme Toxicological Advances in Shaping Sustainable Asian Communities was held at the National University of Malaysia from December 5–6, 2017. As a developing country, one of the major concerns faced by modern Malaysia is exposure to various chemicals that could affect the populations in many ways. The Congress’ theme reflected Malaysian vision towards achieving an industrialized nation by the year 2020 and making sure that sustainability in all aspects encompassing a healthy nation is not compromised. 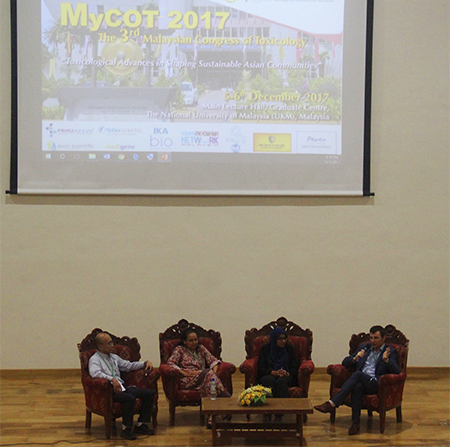 The 3rd MyCOT was opened by the secretary of the MySOT, Assoc. Prof. Dr. A’edah Abu Bakar. 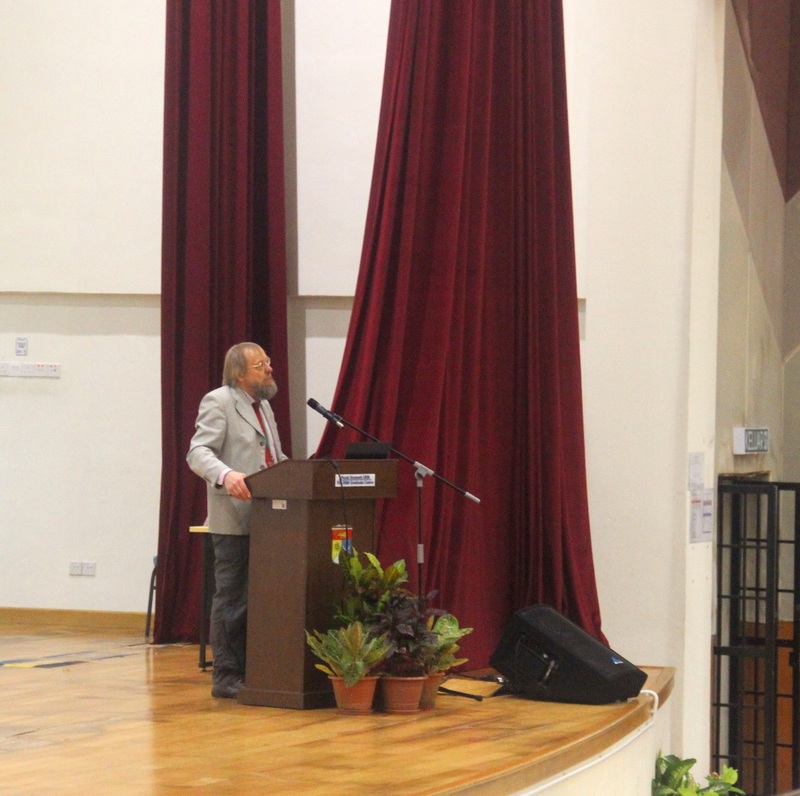 The scientific symposium kicked off with an inspiring keynote speech by Dr. Kurt Straif from the International Agency for Research on Cancer (IARC), France, on IARC monograph experience in identifying human carcinogens. 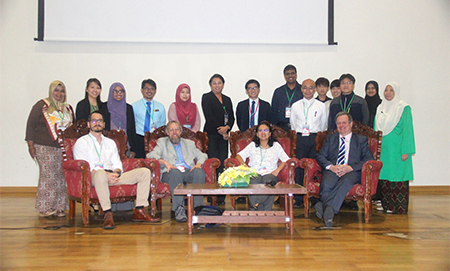 The first day continued with a poster pitching session, followed by engaging invited lectures on Environmental Toxicology from Dr. Jin-Yong Lee (Aichi Gakuin University, Japan), Prof. Dr. Talib Latif (Universiti Kebangsaan Malaysia) and Dr. Carlos Arias-Barreiro (PETRONAS, Malaysia). After lunch, lectures on Experimental Toxicology took centre stage delivered by Dr. Franҫois Richeux (Phycher Biodevelopment, France), Assoc. Prof. Dr. A’edah Abu Bakar (Universiti Teknologi MARA, Malaysia) and Dr. Rozaini Abdullah (Universiti Putra Malaysia). The day ended with the Young Investigator Award pitching session that was sponsored by the Young Scientist Network Academy Science Malaysia. The second day of the congress started with an eye-opening keynote speech by Dr. Tim Gant from the British Society of Toxicology on “Epigenetics in Toxicology”. Then, Ms. Shabanon Sharif (Department of Occupational, Safety and Health, Malaysia) and Prof. Dr. Ahmad Rohi Ghazali (Universiti Kebangsaan Malaysia) gave talks on Occupational and Industrial Toxicology. Another poster pitching session was held during tea break and followed by series of lectures on Emerging Issues of Toxicology from Mr. Mohd Helme Mohd Helan (National Nanotechnology Centre, Malaysia), Dr. Ram Sahu (Columbia Institute of Pharmacy, India) and Prof. Dr. Mustafa Ali (Universiti Malaya, Malaysia). After lunch, notable speakers, Ms. Salbiah Yaacob (Ministry of Health, Malaysia), Dr. Jahangir Kamaldin (Universiti Sains Malaysia) and Mdm. Isnazunita Ismail (SIRIM, Malaysia) delivered insightful talks on Regulatory Toxicology. The scientific discourse was concluded by young scientists presenting short lectures on various topics in toxicology. The congress ended with awards for the best speaker among young investigators and the best poster sessions. The closing ceremony of the Congress was headed by Assoc. Prof. A’edah Abu Bakar where she announced the upcoming Congress of Toxicology in Developing Countries (CTDCXI) 2021 to be held in Malaysia. The Congress has been a success with more than a hundred local and international participants engaging in scientific discourse on various toxicology issues. The organizing committee expressed gratitude to all sponsors and individuals who have helped to make this Congress a success. 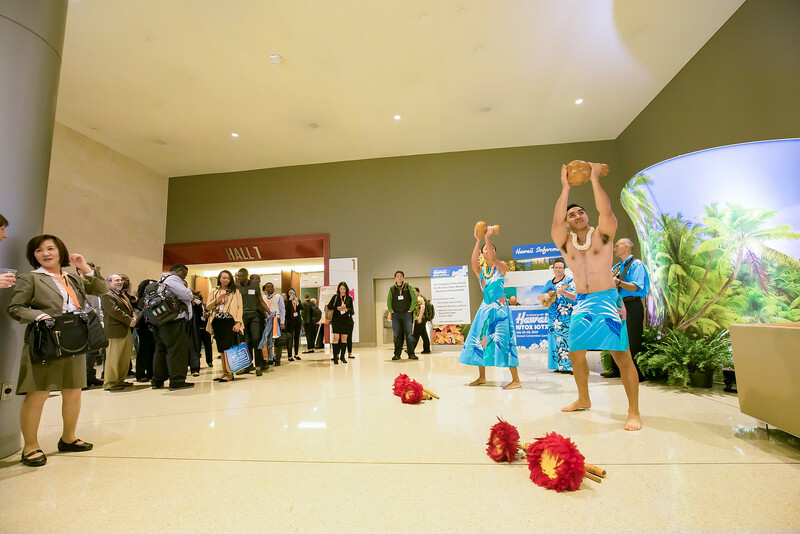 The more than 6,100 attendees of the SOT 57th Annual Meeting and ToxExpo experienced this unexpected treat throughout the week-long conference in March thanks to the Hawaii Visitors and Convention Bureau. 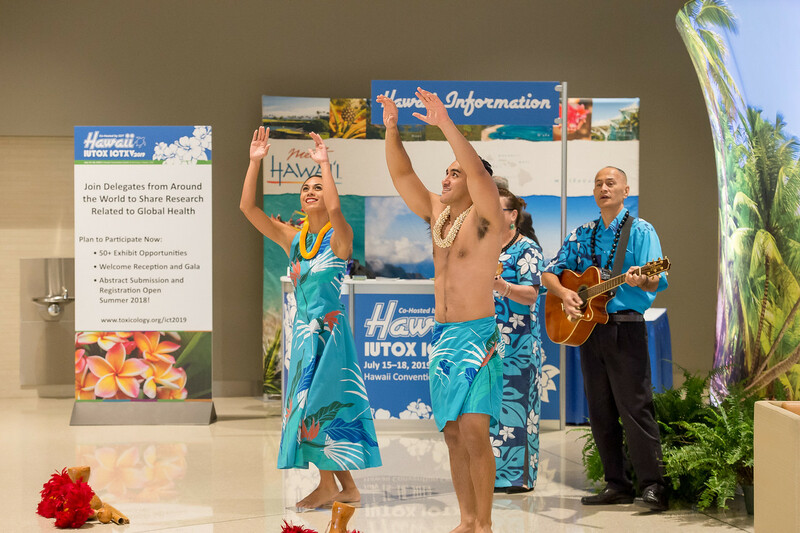 SOT is co-hosting the IUTOX 15th International Congress of Toxicology (ICTXV) at the Hawaii Convention Center in Honolulu, Hawaii, USA, July 15–18, 2019. 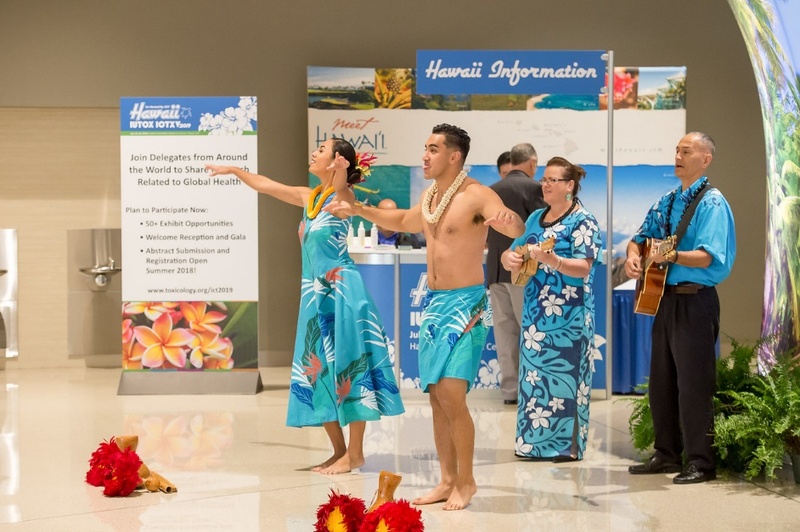 SOT was delighted to feature this sneak peek at Hawaiian culture during its Annual Meeting and also to unveil a first look at the ICTXV Scientific Program. The ICTXV Scientific Program Committee has tentatively accepted 20 Symposia and eight Continuing Education courses that fit the meeting theme of “Toxicology Solutions for Global Public, Environmental, and Personal Health.” The full list of session and course titles is available on the ICTXV website. The official schedule will be finalized soon and will feature Continuing Education courses on Monday, July 15, 2019, with Symposia scheduled throughout the remainder of the conference (Tuesday, July 16–Thursday, July 18, 2019). In addition, Peter Warner, MA, DPhil, Bill & Melinda Gates Foundation, has been confirmed as the ICTXV Keynote Speaker. Plus, Kate Z. Guyton, PhD, DABT, International Agency for Research on Cancer, World Health Organization, and Maurice P. Whelan, PhD, European Commission Joint Research Centre, will engage in a debate around mode of action (MOA) versus adverse outcome pathways (AOP). Registration and housing for ICTXV will open this summer, as will an abstract submission period. More information on the abstract submission period, which begins August 30 and ends November 30, 2018, will be available later this summer. Mark your calendars to say “aloha” to SOT and IUTOX in Hawaii in 2019. Folia Filters are now available in retail packs. Each filter pack contains 50 Folia Filters; each filter has been rated to provide 50 liters of germ free water. The tough weatherproof bags are designed to ensure the filters can be stored or transported all over the world. Additionally, the filter papers are produced from sustainably grown trees. Scientific exchange between early-career researchers from a broad range of disciplines working with sea-level change. Read more. Urban Planet: Knowledge Towards Sustainable Cities is Out Now. Read more. At least half of the world's population lacks access to health services, the WHO Director-General told attendees of the Consortium of Universities for Global Health (CUGH) annual meeting. Financial barriers and stigma prevent many from receiving treatment and that must be addressed, said Dr. Tedros Adhanom Ghebreyesus. 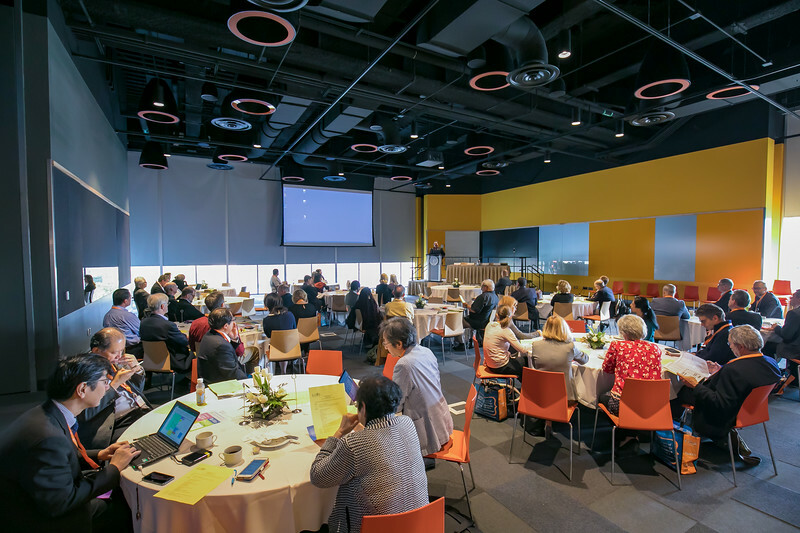 To commemorate 50 years of its global health research and training programs, Fogarty convened partners and grantees on May 1, 2018 to review accomplishments and lessons learned, as well as consider future directions and goals. The day-long symposium was titled Fogarty at 50: What are the new frontiers in global health research?" On 19 April Network Participants who were attending the Congress of Toxicology in Developing Countries (CTDC10) in Belgrade, Serbia met for a lunchtime meeting. The theme of the meeting, attended by 30 participants from 15 Network institutions, was capacity building activities for the Network. Read more. While real progress has been made on a number of serious health issues, half of the world’s citizens lack access to essential health services. Today, the United Nations Development Programme (UNDP) and WHO signed a five-year Memorandum of Understanding (MoU) to help support countries to achieve the health-related targets across the 2030 Agenda for Sustainable Development and the agenda’s commitment to leave no-one behind. Read more. Air pollution levels remain dangerously high in many parts of the world. New data from WHO shows that 9 out of 10 people breathe air containing high levels of pollutants. Updated estimations reveal an alarming death toll of 7 million people every year caused by ambient (outdoor) and household air pollution. Read more. Visit the ISC website for resources including publications, events, science, and international policy. The position paper, prepared by the Science and Technology Major Group for the 2018 HLPF, gathers inputs from nearly 60 authors from ICSU member and partner organizations. Read more. The 19th IUFoST World Food Science and Technology Congress is coming October 23–28, 2018, in Mumbai, India. Meet, learn, network and get inspired by some of the most fascinating and accomplished professionals from established, evolving and emerging markets. See more on the IUFoST 2018 website. The members of the Early Career Scientist Section Inaugural Committee have been announced by the Academy Executive Council. This committee will lead in developing the structure and activities of this new section of the Academy. Read more. Scholars at Risk (SAR) has announced Turkey’s Academics for Peace (Barış İçin Akademisyenler) as recipients of the 2018 Courage to Think Defender Award, for their extraordinary efforts in building academic solidarity and in promoting the principles of academic freedom, freedom of inquiry, and the peaceful exchange of ideas. Read more. The 2018 Global Congress brought together in Berlin over 500 participants from more than 60 countries for four days of workshops, keynotes, and panel discussions around the theme, The University and the Future of Democracy. Read more. On November 2, 2017 the Biochemical Pharmacology Discussion Group at the New York Academy of Sciences presented Mitochondria in Health and Disease, a daylong conference exploring the many facets of mitochondrial function in physiology and medicine, across diverse disciplines including: neurology, aging, oncology, autophagy, membrane morphogenesis, structural biology, and bioenergetics. Read more. In these videos you’ll meet a few people who have taken this idea to heart and are using the UN Sustainable Development Goals to achieve serious results. See videos. See more at the NYAS website. Using scientific approaches, Congolese chemist Kalulu Taba, the only TWAS Fellow in the Democratic Republic of the Congo, hopes to drive scientific innovation and to set up a science academy in his country. Read more. The new TWAS Online Directory gives unprecedented global visibility to TWAS Fellows and Young Affiliates. With powerful search tools and infographics, the Directory will be a useful tool for policymakers, journalists and others. Read more. See more at TWAS website. In San Antonio during the 2018 SOT Annual Meeting, the IUTOX Education Committee had the opportunity to meet with Dr. Abdel Kadry, Senior Advisor for Scientific Organizational Development and International Activities and Chair, NCEA Technical Qualification Board at the US Environmental Protection Agency (EPA). Dr. Kadry introduced the Risk Assessment Training and Experience (RATE) Program modules to members of the committee. A variety of RATE materials have been developed and cover scientific subject matter and methodologies considered to be essential knowledge and skills for risk assessors within and outside of the EPA. Nine basic risk assessment exposure modules are available free of charge through the EPA Exposure Toolbox (ExpoBox) to any interested scientist. Each module contains a PowerPoint presentation, a student handbook and an instructor manual. For questions or more information, please contact Dr. Kadry. Access the Risk Assessment Training Course Database to find information regarding human health chemical risk assessment training courses and resources worldwide. IUFoST is committed to improving the knowledge of people working in the food industry and using web-based technologies to distribute knowledge of food science and technology and the Distance-Assisted Training Programme is a key component of realizing this goal. Read more. ACT ToxChats© is excited to announce the expanded availability of select podcasts on iTunes and Google Play Music (search ToxChats), in addition to all episodes on the ACT website. Further instructions on accessing iTunes by iPhone or Android using Google Play Music are readily available in your preferred search engine. The podcasts report on cutting-edge news in toxicological research from around the globe, and feature interviews with experts and a review of current advances. In the latest release (Episode 7), The Opioid Epidemic was discussed from a preclinical drug development perspective with Dr. Carrie Blum, Associate Director, Toxicology at Sunovion Pharmaceuticals and Dr. Mary Jeanne Kallman, VP and consultant at her own company Kallman Preclinical Consulting LLC. We encourage you to listen and welcome any feedback or suggestions for future topics. The American College of Toxicology (ACT) and the British Toxicology Society (BTS) are offering a training in toxicology webinar series. These educational modules provide twelve modules of basic toxicology training by experts in the field to professionals and students worldwide. The live webinars are offered every other month in 60–75-minute segments followed by 15 minutes for questions and answers. Registrants have access to the webinar recordings for thirty days following the live webinar. Additionally, users can take advantage of these stand-alone segments by viewing the e-learning archives when it’s convenient. For more information and to register, visit the website. Open educational resources (OER) have as their objective the integration of digital tools into learning by developing scientific and educational materials freely available on the net. 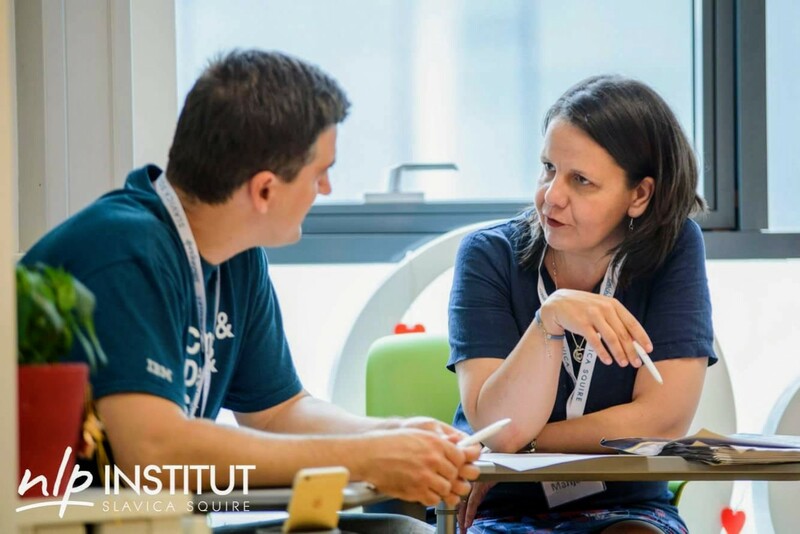 At the same time, they are a good model of cooperative implication and participation between professionals from different academic areas and geographical locations. In this context, a massive open online course (MOOC) about toxicology has been developed. It is called TOX-OER (“Learning Toxicology through Open Educational Resources”), and it is implemented under the Erasmus+ Program. This project, led by the University of Salamanca, has been developed by a consortium among professionals from very different fields (experts in toxicology, chemistry, ICT, pedagogy, etc.) from seven countries, including the Universities of Salamanca, Spain; Porto, Portugal; Bologna, Italy; Charles, Czech Republic; Applied Sciences of the Southeast of Finland, Finland; Transylvania Brasov, Romania; and a Research Institute: Space Research and Technology Institute, Bulgaria. The MOOC platform consists of seven different modules that include 22 topics with specific toxicological content. This MOOC provides online training and includes the recognition of 35 credits through its learning. According to the philosophy of these “open, massive and free” resources, the material is available in English and in the native languages of the seven partners, in order to reach out to the maximum number of people. You are invited to know more about TOX-OER MOOC at: https://toxoer.com. The Scientific Liaison Coalition (SLC) webinars and webinar series are open to scientists around the globe and are easily accessible on the SLC website. All webinars on the site currently are available for viewing, including the recent Toxicity and Efficacy of Stem Cells as Therapeutic Products for Humans and Animals. Future webinars on September 11, 2018, and November 27, 2018, will focus on the theory and practical applications of systematic review to support regulatory decision-making for evidence-based risk assessment. These systematic review webinars should be available for viewing in late September and early December, respectively. Also, plan to attend the FutureTox IV Progress to Maturity: Predictive Developmental and Reproductive Toxicology for Healthy Children conference, November 14–16, 2018, Westin Crystal City, Arlington, Virginia. This forum, developed by the SLC, is focused on bringing together basic, clinical, and regulatory scientists to bridge the translation from historical approaches to Tox21 implementation relative to risk assessment and regulatory decision-making for matters pertaining to developmental health, life-stage progression, and the human reproductive cycle. The meeting also will look at implementing the 21st-century vision and regulatory considerations relevant to commercial chemicals in the environment and medical products for guidance based on new results. The Society of Toxicology and US FDA partner to present high-quality and future-oriented information in emerging areas in food science. Free access to the recordings, slides, and the captioning record is available for all fifteen of these sessions on the SOT website. Titles of recent colloquia are below. The next live session in October will focus on allergenicity and foods. Food from Genetically Engineered Plants: What Role for Metabolomics? Can Alternatives Inform the Risk Assessments of Mixtures in Foods? Visit the ICTXV website for more information! Travel awards will be available from IUTOX for junior and senior scientists. Watch the IUTOX website and our social media channels (Facebook | Twitter) for all the details. The Toxicology Education Foundation is now accepting applications for the Robert L. Dixon International Travel Award. The 11th ACTRA Annual Scientific Meeting will be held Thursday, 27 September and Friday, 28 September 2018 in Perth. A one-day Continuing Education Course will precede the ASM on Wednesday, 26 September 2018. 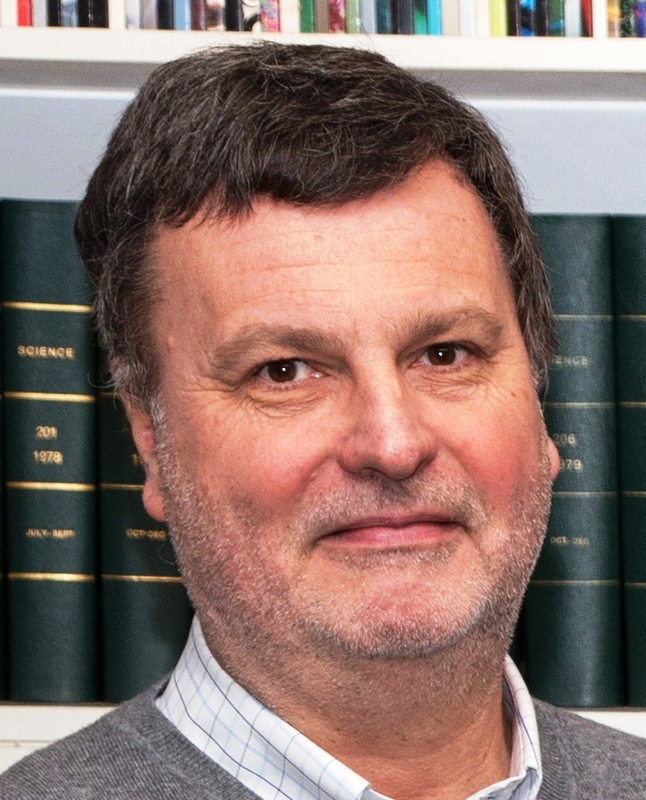 The ASM will address characterising particulate matter based on size and composition, the application of in vitro toxicity methods, the emerging health and toxicology studies focusing on composition and how we undertake risk assessments that include multiple sources, estimation of doses and exposures. What is the ACTRA Student Travel Grant? ACTRA is offering a number of travel grants for students to attend this year’s Annual Scientific Meeting (ASM). Student travel grants are awarded to eligible students who apply and can demonstrate outstanding research efforts in the field of toxicology and/or risk assessment, or ecotoxicology. Deadline for applications is 31 May 2018. The travel grant consists of one free conference registration (including dinner), economy return airfares, and accommodation for the duration of the ASM (to be organised by ACTRA). The successful candidates must present their research in a short oral presentation or poster presentation at the ACTRA ASM. For further details, please visit the ACTRA website or contact the ACTRA Conference Managers. August 10th is the deadline for late abstract submissions. Find detailed information on late breaking abstracts online. Plan to join us in Brussels. Register today! We are pleased to announce that the next annual meeting of the French Society of Toxicology will be held in Lille, France, on November 27 and 28, 2018. Risk assessment of electromagnetic radiations, crossing environmental and health data through a Geographic Information System (GIS) to assess the links between air pollution and human health by Prof. Damien Cuny. The introductory lecture will be led by Professor Dominique Lison, President and Chair of the Local Organizing Committee of the 54th Congress of the European Societies of Toxicology (EUROTOX 2018) from 2 to 5 September 2018, in Brussels. We will be pleased to welcome you and your interest in these current scientific topics. Beyond the scientific content of the conference, we warmly invite you to enjoy the congress in Lille and taste the legendary hospitality of the North of France! 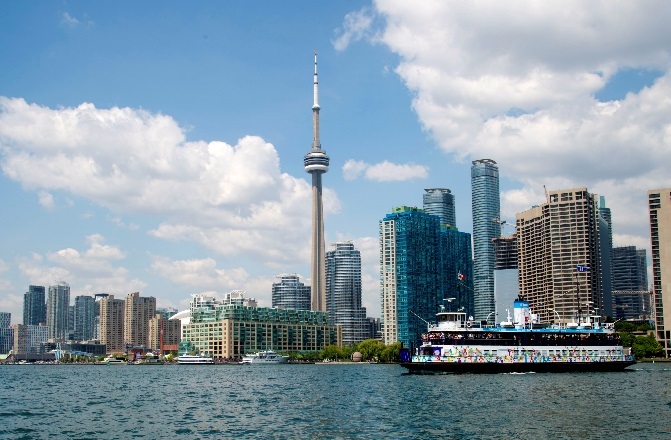 Join us in Toronto for the 50th Annual Symposium of The Society of Toxicology of Canada (STC). December 10–December 12, 2018. Symposium Theme: What’s in a NAM? (Novel approach methodologies). Benefits, limitations, translation, communication. A one-room format fosters high engagement between experienced, new, and trainee toxicologists (graduate students and postdoctoral fellows). Student poster and travel awards are available. Translational Toxicology: Jack Uetrecht, University of Toronto, David Clarke, Pfizer Inc.
Venue: Courtyard Marriott Toronto Downtown. 475 Yonge Street, Toronto, ON M4Y 1X7. 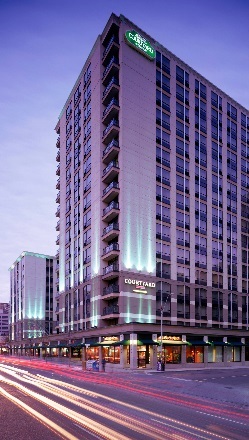 The excellent room rate offered for the meeting is extended before and after the meeting, perfect for visiting the tourist friendly city of Toronto. The PhRMA Foundation supports the research and early career endeavors of scientists in drug discovery and development. With a wide range of Pre- and Post-Doctoral Fellowships, Sabbatical Fellowships, and Research Starter Grants, the PhRMA Foundation offers a myriad of opportunities to help young scientists advance their careers. Application deadlines occur twice per year: February 1 and September 1. The World Academy of Sciences (TWAS) is a global science academy based in Trieste, Italy, working to advance science and engineering for sustainable prosperity in the developing world. TWAS currently has 460 PhD fellowships with 13 partners in eight countries, and 150 postdoctoral fellowships with 16 partners in nine countries. To see the full list of fellowship opportunities available from TWAS, please check out the TWAS website. The duration of WHO internships is between six to 12 weeks. Exceptionally, internships may be extended up to a maximum of 24 weeks depending on the needs of the WHO technical unit and your availability. WHO internships are not paid and all costs of travel and accommodation are the responsibility of the intern candidate. Find details and eligibility for internships online. IUTOX has consistently added new members over time to reach our current number of 63 member societies. This is good news and shows that toxicology is growing as a discipline valued by the global scientific community. If you are interested in forming a society or need help doing so, please see the IUTOX website or contact us at IUTOX Headquarters. We look forward to hearing from you!